This article crossed my RSS feed as I was reviewing an old blog conversation in preparation for an upcoming post on Lutheran identity. It is significant to think about and understand the public record we make when we blog, comment on blogs, Facebook, Twitter, etc. Whether or not you Twitter, if you are reading this, you are effected: this article will cause some sober reflection, I am sure. 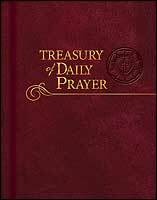 Have brief prayers from Treasury of Daily Prayer delivered to your RSS reader via a Twitter account four times each day. Concordia Publishing House offers a thought from the day’s appointed Collect and Psalm along with a prayer at noon and at midnight. Deepen your devotional life by having these brief prayers available to you daily wherever you can access the web. 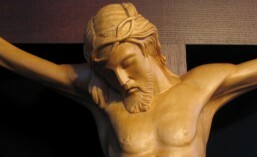 Another opportunity to pause, pray, and meditate on the gracious and merciful action of God through His Son, Jesus Christ. Today my confirmation students tackle the question: Is the Divine Service necessary for faith and salvation?